Our promise is to offer our customers outstanding service and first-class lawn care programs in the Hockessin area. Green Lawn Fertilizing is a locally owned, full-service lawn care company committed to providing you with the professional results you require. We won’t rest until your lawn looks its best. 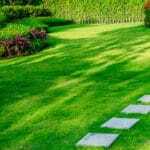 Services are provided in a timely manner with advance notification and a post-application report is provided confirming the treatment and overall lawn condition. Timing of my service was also adjusted to follow my weekly lawn cutting. 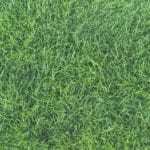 Green Lawn is very easy to work with and prices are fair for the services performed. 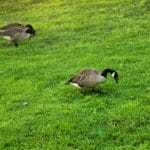 Today I applied fertilizer that will provide nutrients to the lawn over the winter months. No major issues found today. We appreciate your business. Today I applied fertilizer that will provide nutrients to the lawn over the winter months. Having leaves on the lawn will not effect this treatment. We appreciate your business. I manually treated the side yard. Today we applied a fertilizer to provide essential nutrients to the lawns root systems, and prepare it for the cooler months ahead. I sprayed all active weeds in the lawn.